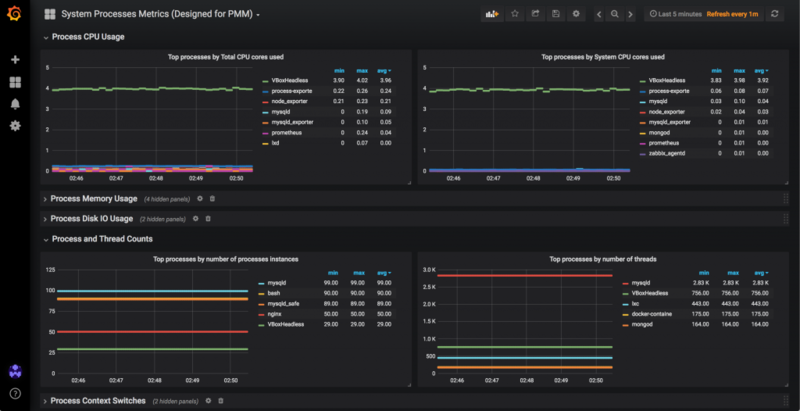 A New PMM Dashboard to Monitor Memory Usage! meminfo: Provides information about distribution and utilization of memory. This varies by architecture and compile options. vmstat: Provides information about block IO and CPU activity in addition to memory. The dashboard will be included as part of the PMM 2.0 release. For you early adopters, you can get it from GrafanaLab and install it alongside your existing Dashboards – it won’t overwrite anything! Please notice that the dashboard can be imported by ID (9692) in Grafana versions since 5.4.2 or should be downloaded and imported manually in older Grafana versions. We’ll use the Stackoverflow data set again as we did in our first post. 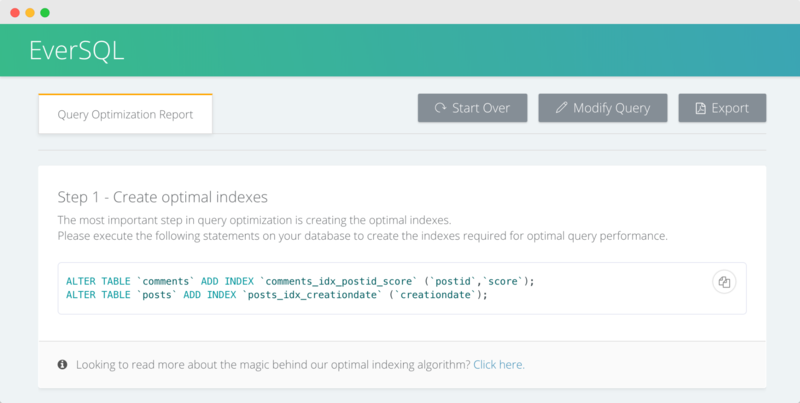 We’ll grab the worst performing query in the list from PMM and optimize it. 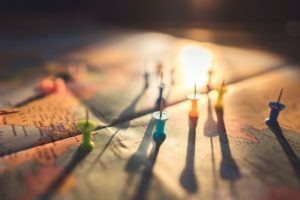 This query builds a list of the top 50 most recent posts which have a score greater than two, and involves joining two large tables – posts and comments. The original runtime of that query is above 20 minutes and causes high load on the server while running. 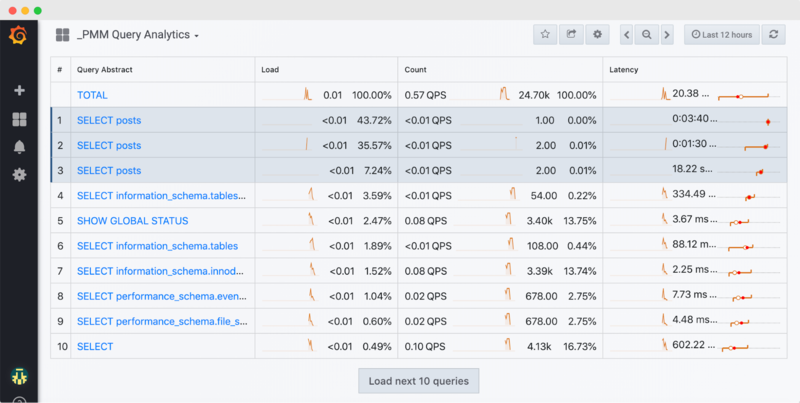 Assuming you have EverSQL’s chrome extension installed, you’ll see a new button in the PMM Query Analytics page, allowing you to send the query and schema structure directly to EverSQL, to retrieve indexing and query optimization recommendations. This query will return the post title of the latest 100 stackoverflow posts, which had at least one popular comment (with a score higher than two). The posts table contains 39,646,923 records, while the comments table contains 64,510,258 records. “In some cases, MySQL cannot use indexes to resolve the ORDER BY, although it may still use indexes to find the rows that match the WHERE clause. Examples: … The query has different ORDER BY and GROUP BY expressions.”. Since the comments table is joined in this query only to check for existence of matching records in the posts table, we can use an EXISTS subquery instead. This will allow us to avoid inflating the results (by using JOIN) and then deflating them (by using GROUP BY), which are costly operations. Now that the GROUP BY is redundant and removed, the database can optionally choose to use an index for the ORDER BY clause. As mentioned above, this transformation reduced the query execution duration from ~20 minutes to 370ms. We hope you enjoyed this post, please let us know your experiences using the integration between PMM Query Analytics and EverSQL! 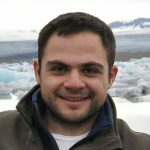 Tomer Shay is the Founder of EverSQL. He loves being where the challenge is. In the last 12 years, he had the privilege to code a lot and lead teams of developers, while focusing on databases and performance. He enjoys using technology to bring ideas into reality, help people and see them smile. 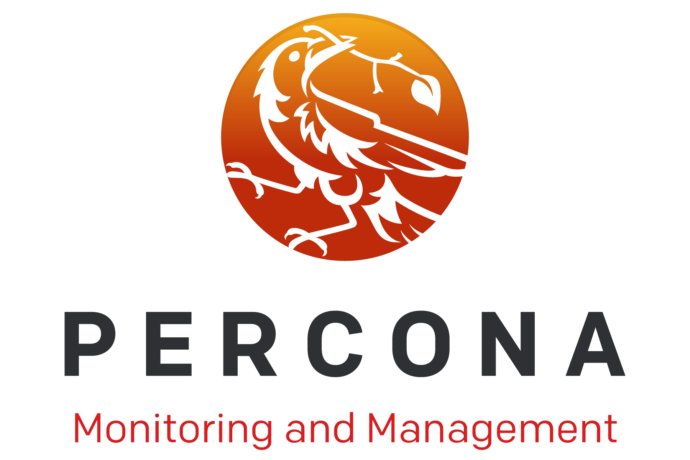 In this post we’ll demonstrate a new way to both identify and optimize slow queries, by utilizing the recent integration of Percona Monitoring and Management with EverSQL Query Optimizer via Chrome browser extension. 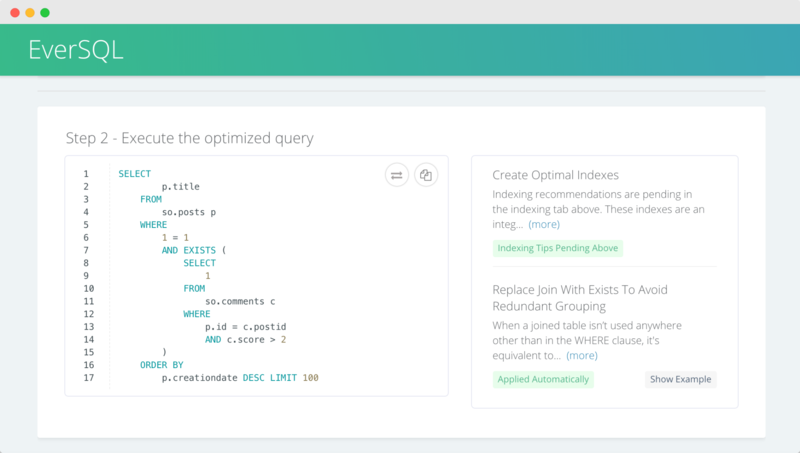 This integration allows you to identify slow queries using PMM, and optimize them automatically using EverSQL Query Optimizer. 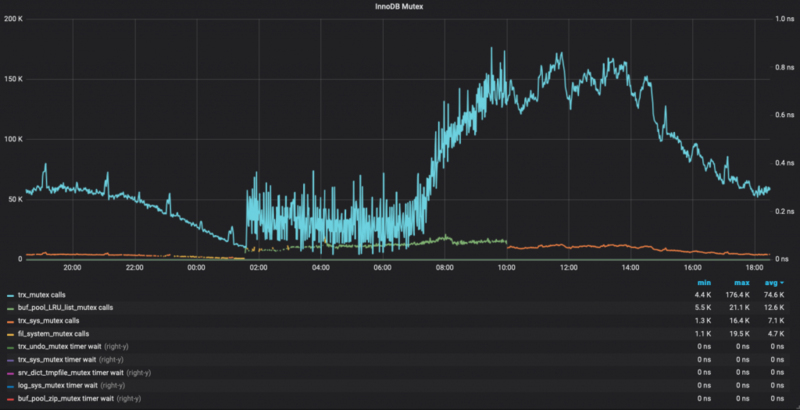 We’re using PMM to monitor our MySQL instance, which was pre-loaded with the publicly available StackOverflow dataset. PMM is configured to monitor for slow queries from MySQL’s slow log file. We’ll begin with a basic example of how EverSQL can provide value for a simple SELECT statement. In a follow-up blog post we’ll go through a more sophisticated multi-table query to show how response time can be reduced from 20 minutes to milliseconds(!) using EverSQL. In this example, the table posts contains two indexes by default (in addition to the primary key). One that contains the column AnswerCount, and the other contains the column CreationDate. As you can see below, EverSQL identifies that a composite index which contains both columns can be more beneficial in this case, and recommends to add an index for posts(AnswerCount, CreationDate). 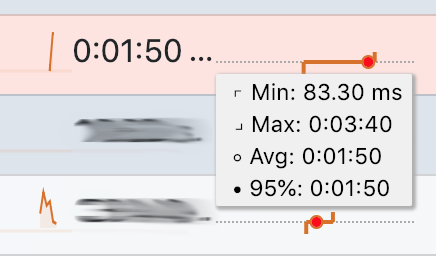 After using pt-online-schema-change to apply the schema modification, using PMM we are able to observe that the query execution duration changed from 3m 40s to 83 milliseconds! 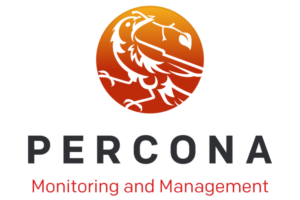 If you’re looking for an easy way to both monitor for slow queries and quickly optimize them, consider deploying Percona Monitoring and Management and then integrating it with EverSQL’s Chrome extension!